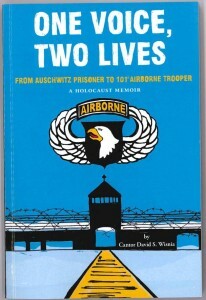 This powerful memoir takes the reader from a peaceful home in Sochaczew, Poland to terror in Auschwitz-Birkenau to the front lines of war with the United States Screaming Eagles. David Wisnia describes his comfortable life as the middle child in a Jewish family of five and a child singing star, and how everything changed. Soon after David’s Bar Mitzvah, Germany occupies Poland, Jews are quarantined in ghettos, and tragedy strikes his family. In an instant, David becomes an orphan and a fugitive on the run from the Nazis. 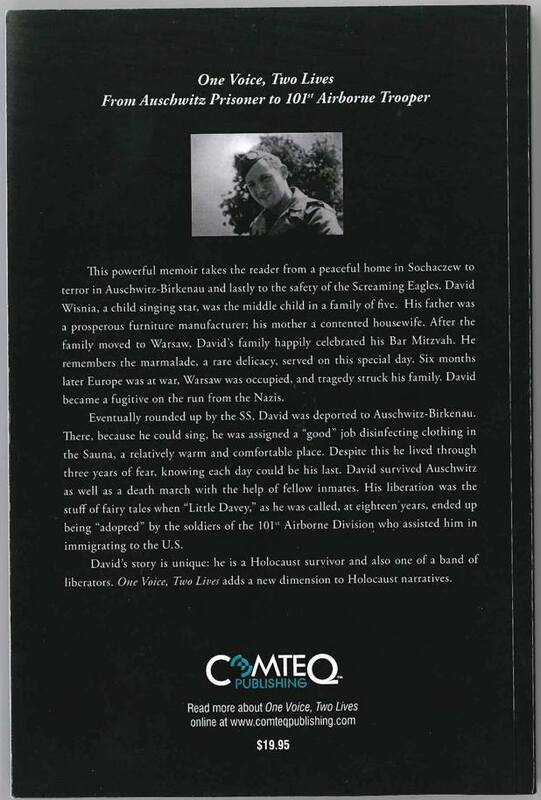 Eventually rounded up by the Nazi SS, David becomes a prisoner of the infamous Auschwitz-Birkenau concentration camp, where he is held for nearly 3 years. After surviving several horrors in Auschwitz, David discovers that his singing voice will ultimately save his life. Towards the end of the war, during a final death march, David makes a daring escape which leads him directly into the path of U.S. soldiers from the 101st Airborne Division. The men adopt “Little Davey,” taking him with them on their campaign of liberation through Europe. With their help, David Wisnia is able to immigrate to the United States. 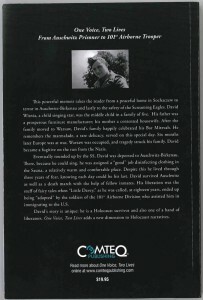 David’s story is unique: he is both a Holocaust Survivor and a WWII Liberator. 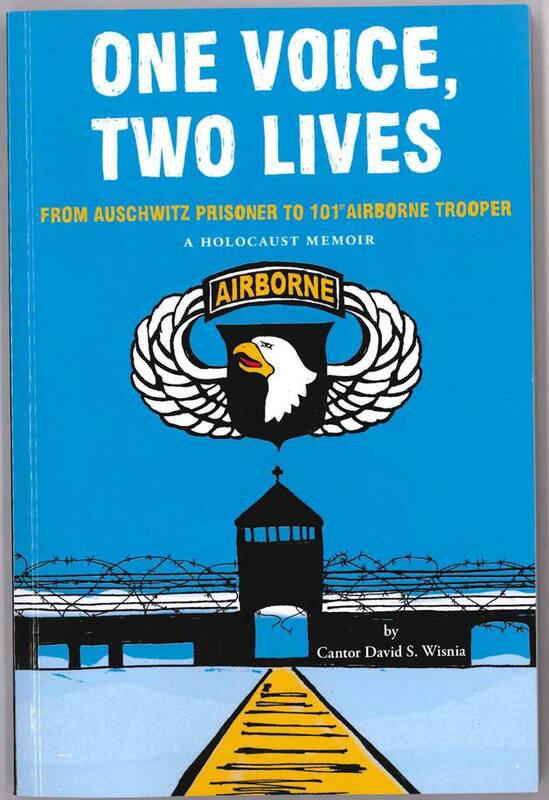 Told from David Wisnia’s own perspective, “One Voice, Two Lives” adds a new dimension to Holocaust narratives. A project of Stockton University.